Out of the many influential mathematicians, Alexander Grothendieck stands out prominently due to his over achieving status and rather abrupt resignation from the Mathematical world. Alexander Grothendieck was born on 28th March 1928 in Berlin to parents who were classified as anarchists during that era of time. He lived with his parents till 1933; the interesting historical fact about Grothendieck is that originally his father was Ukrainian who belonged to the Hassidic family. However later on Alexander “Sascha” Shapiro (Tanaroff) recognized his paternity. 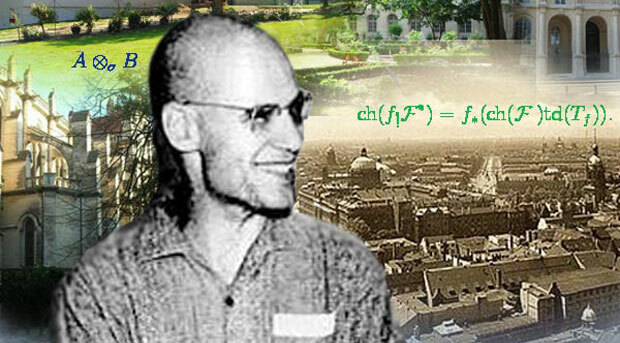 During the crucial period of World War 2, Grothendieck along with his mother was in France and inhabited different camps for those who were displaced. He went to a school which was established by local Protestants who held a rather appeasing stance and were antiwar activists. When the war ended, this great mathematician went for education in the Mathematics field at the University of Montpellier; a few years later he joined Institut des Hautes Etudes (IHES) where he presented himself as a mathematical vision. Even though initially he was at University of Montpellier, he moved to the University of Nancy and worked upon functional analysis with Dieudonne. Grothendieck could speak in French, English and German. Alexander Grothendieck was the focal point in the launching of the modern Theory of Algebraic Geometry; this included commutative algebra, homological algebra, sheaf theory, and category theory. He created a stepping stone in the technical work through his theory of schemes; this in turn led to the study of algebraic number theory, algebraic topology and representation theory. More importantly his topology theory had an effect upon set theory and logic. He managed to introduce his theory of schemes at the International Congress of Mathematicians in 1958. One of the most well-known achievements relates to the determining of the first arithmetic Weil cohomology theory. Due to his focus on the ‘role of universal properties’ the category theory came into the mainstream eye and is still classified as a significant ‘organizing principle’. Grothendieck’s idea of abelian category is the foundational article of study in homological algebra. Moreover his conjectural theory of motives has been a catalyst that backed up the modern advancements in algebraic K-theory, motivic homotopy theory and motivic integration. His key contributions include the topological tensor products of topological vector space, the theory of vector space and the theory of nuclear space as vital for Schwartz dispersals. Many of the mathematical concepts outlined previously were published in Elements de Geometrie Algebrique (EGA), which was a potential journal that presented various mathematically related ideas. Additionally, he wrote a book titled “The long March through Galois Theory” (1980-81) which consisted of 1600 pages and was essentially a hand written manuscript. After a few years in 1983, he wrote “Pursuing Stacks” with assistance from other mathematical minds which elaborated and built upon his notions on the relationship between algebraic homotopy theory, algebraic geometry and prospects for a non-commutative theory of stacks. Grothendieck also wrote E Squisse d’un programme (1984), which was a request for a post at Centre National de la Recherche Scientifique, he fulfilled the vacancy of this position from 1984 till his retirement in 1988. Later on, somewhere around 1988 his active role within the Mathematical Society diminished as he spent a lot of time being involved in political causes of that time. Gradually he distanced himself from Mathematics completely and moved to another place where he resides in isolation from all his previous accomplishments. Grothendieck left a huge mark in mathematical history which cannot be erased, his abrupt cut off from his field of work still doesn’t undermine all his previous efforts in the dawning of mathematical concepts.